This is a super rare non-dwarf post, but bear with me! 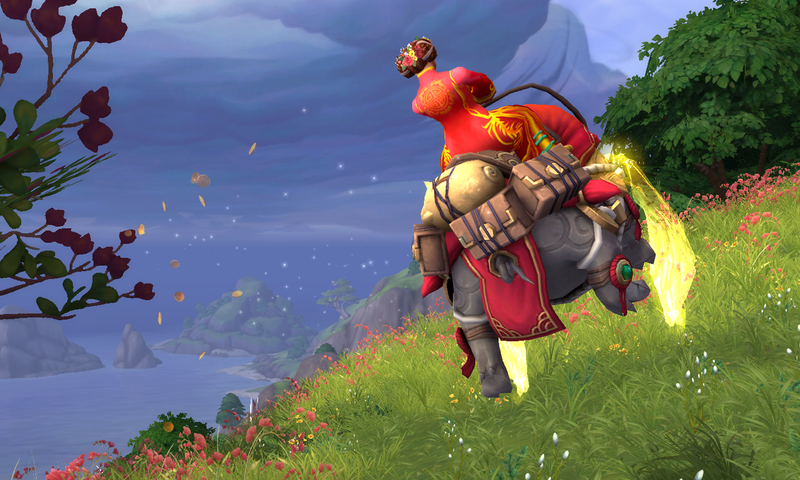 In patch 8.1.5, the Two Sides to Every Tale achievement was added to the game. One of the mount rewards is the Ironclad Frostclaw, a wolf from Alterac Valley decked out in Alliance armor. A mount from a dwarven battleground? Yeeeeeeessss. Of course I wanted it! That meant I needed to play catch up on my horde priest to unlock this. I looked over the Zandalar quests I had fallen behind on and deflated a bit at the timesink ahead of me, but that Alterac Valley wolf was howling my name! Got started on Vol’dun, cleared out the necessary quests and was about to complete my last one when I got too close to a couple of mobs. I briefly considered just outrunning them, but screw it, slightly faster to nuke them down. That’s when I looted an unexpected surprise: Captured Dune Scavenger. I was just stunned. My horde alter ego with the Dune Scavenger in Vol’dun. The snake is so jelly. 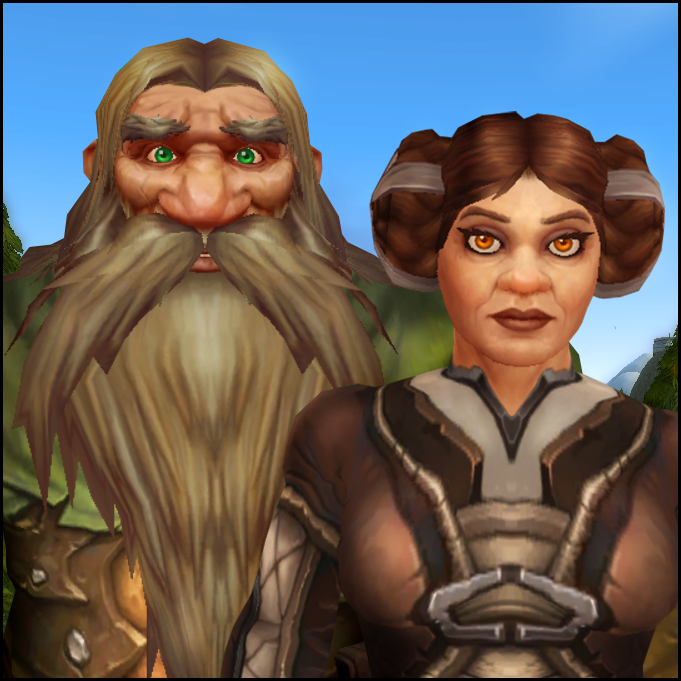 It was one of those mounts I wanted for my dwarf, but “maybe someday,” you know? It was basically a dog from the desert (I grew up in a desert!) with a beautiful brown color (my favorite!). This really made my whole day. Totally blog worthy! 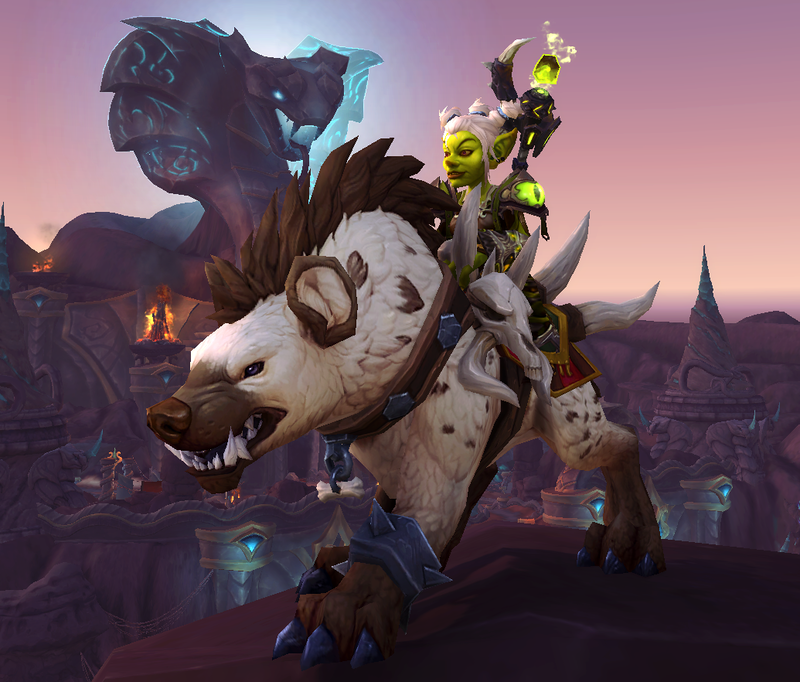 I love that my goblin is effectively smuggling over two different mounts for my dwarf. The hyena has been named Murdock. I’ll think of something for the wolf. OK, more like 1,000 tickets, but still. One more thing off to cross off my bucket list! I was able to acquire one of the “Wonder Woman” tiaras before their respective loot tables were removed from the game. (If you weren’t able to get one, I really feel for ya. It wasn’t easy for me either.) 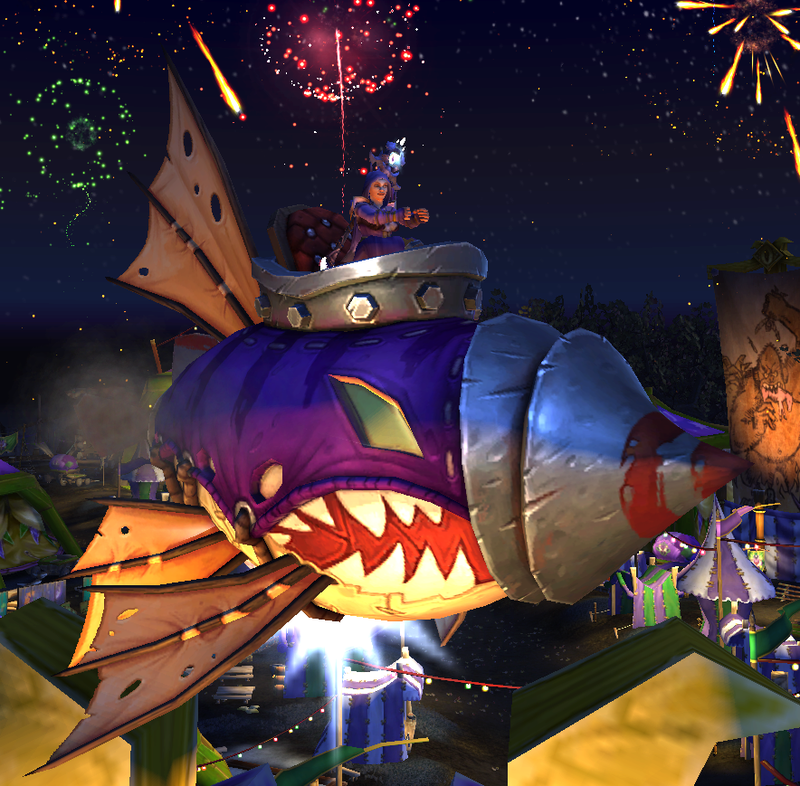 Next to Speedy Racer Goggles, this tiara is one of my most prized items in the game. Wonder Woman eagle emblem and Speedy Racer goggles. This guy has everything he will ever need. There is also a chestpiece (part of the Phoenix armor set), clearly inspired by Lynda Carter’s Wonder Woman costume, but it’s never been available to players. You can see it on various NPCs, such as Dungar Longdrink. I was always disappointed (still am!) that I couldn’t wear this as well. However, once I acquired the tiara, there really didn’t seem to be a lot of good transmog choices in the cloth bracket at the onset. 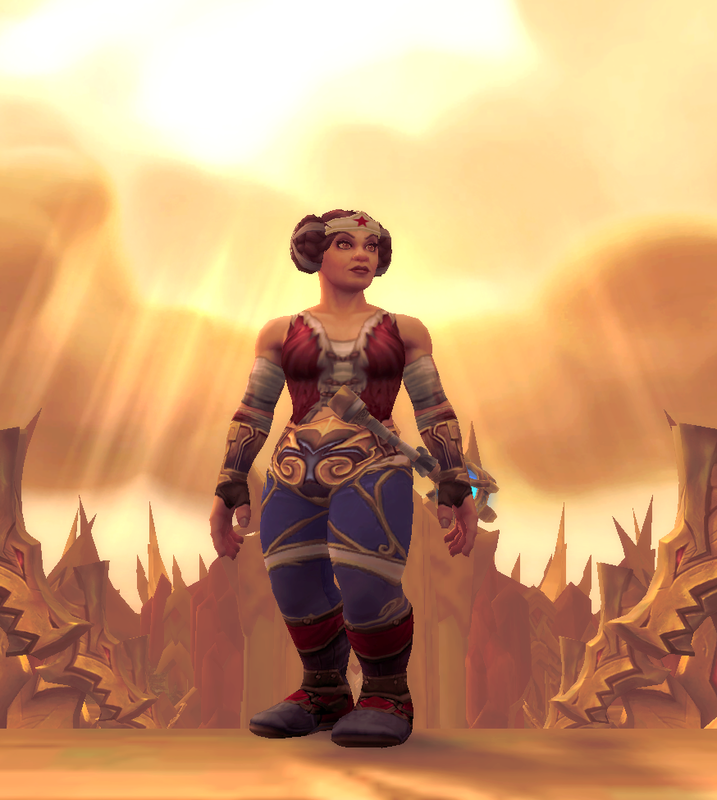 I felt that the leather/mail/plate transmogs had better visuals, especially for the parts that were metal such as the golden bracelets and belt. So the star tiara collected dust in my virtual closet until a couple things happened. One, Wonder Woman’s outfit was updated to better reflect her warrior background for the 2017 movie, moving away from the cheesecake swimsuit look, a change I definitely appreciated. (Don’t get me wrong, I do dig the iconic look, but it just wasn’t practical and really needed to evolve for modern times.) 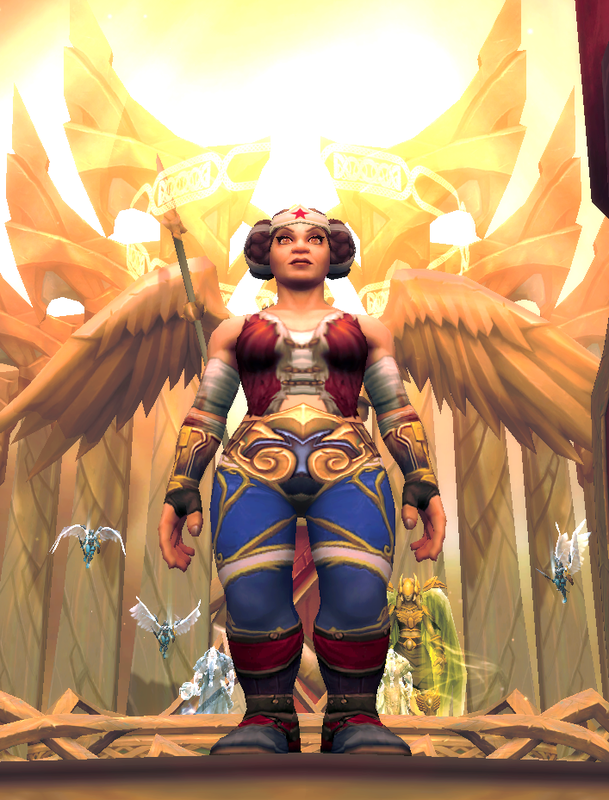 I especially liked that several of my transmog pieces were obtained via PvPing, which was befitting for an Amazon. 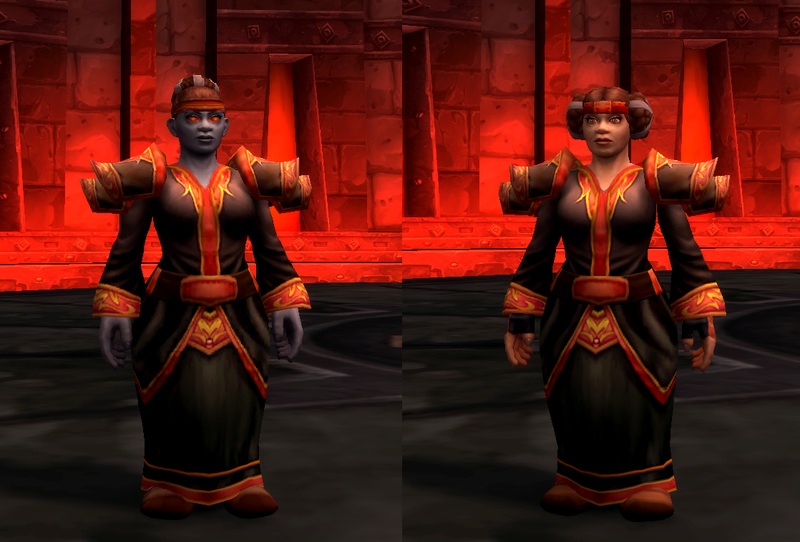 Two, in-game graphics got more polished over time, especially with the current Battle for Azeroth gear. Cloth pieces started to have metal incorporated into their armor (spiky shoulders, hip plates, metallic belts, and so on to name a few), which allowed me to put together a satisfying warrior transmog as a cloth wearer. Here’s my current iteration of a cloth-based Wonder Woman cosplay. I’m hoping this look will continue to evolve over the years as more items get added to the game. Speaking to the Dark Iron Brewer in the Grim Guzzler bar, located in Blackrock Depths, will yield a lootable Dire Brew mug (once he passes out, that is). Illusions vary based on armor types. 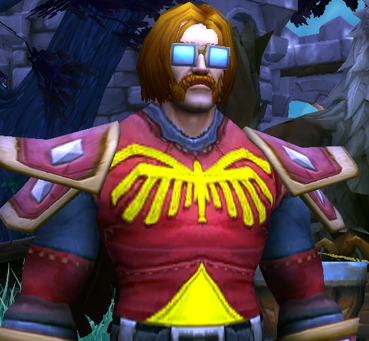 Below is the cloth version of the illusion and a list of transmogs to recreate the look. Left: Dire Brew Illusion. Right: Transmogrification. The individual armor pieces are all low level, meaning this transmog is immediately available for a brand new Dark Iron cloth-wearing character, once the allied race is unlocked. 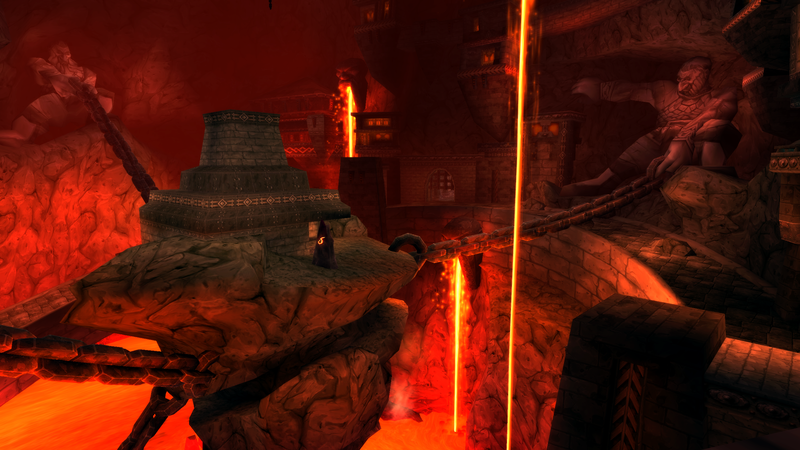 Breathtaking view of Blackrock Mountain, where Blackrock Depths resides. I had yet to be tempted to purchase an in-game mount (I had been perfectly happy with the X51-Nether-Rocket) until now! 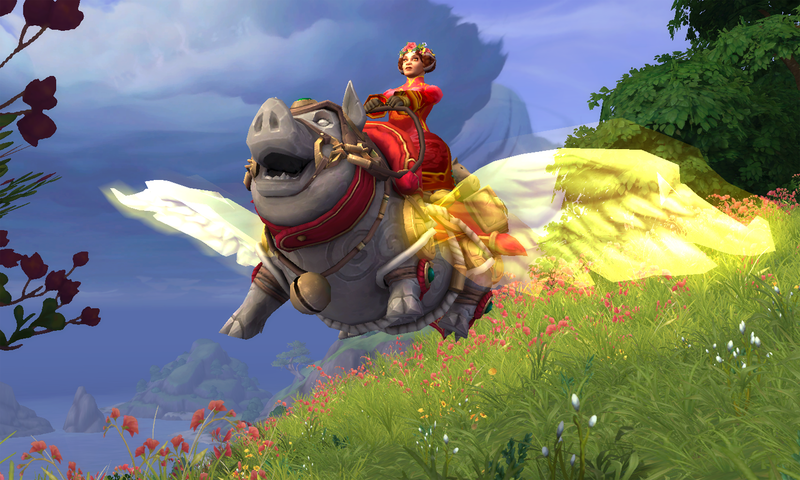 C’mon, a flying pig! I love everything about it — the overall polish, the bags, the stream of coins falling out of the piggy bank, the pep in its step, and the magical wings that only appear in flight. 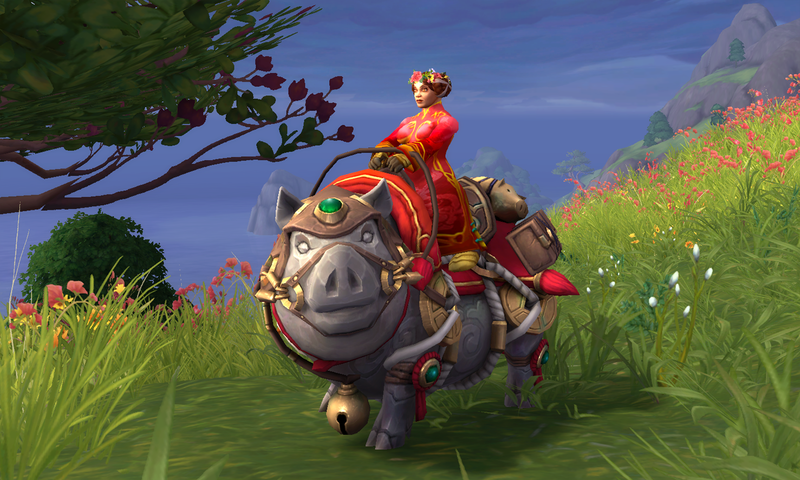 Definitely one of the more fun mounts to ride in the game. Perfectly sized for a dwarf, too!